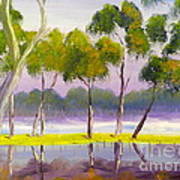 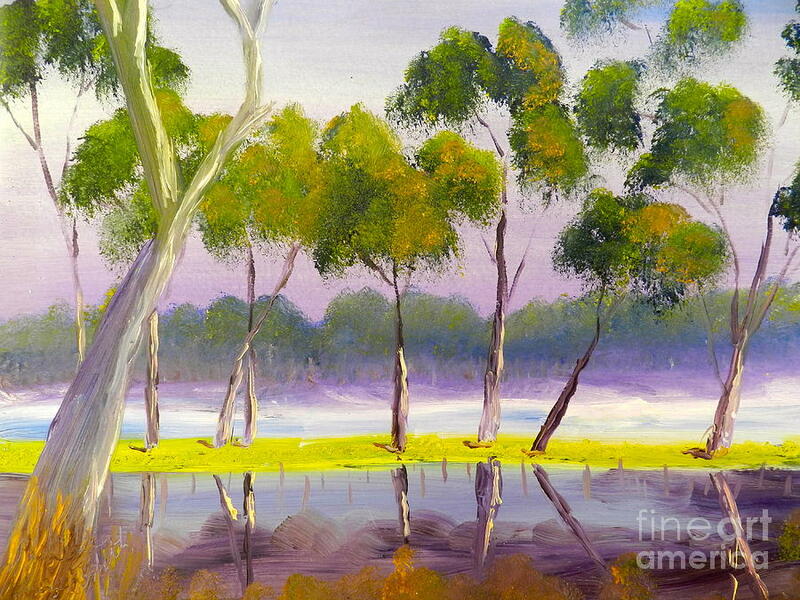 Marshlands Murray River Red River Gums is a painting by Pamela Meredith which was uploaded on October 7th, 2010. 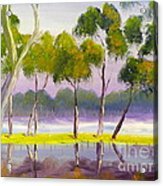 46.000 x 35.500 x 0.060 cm. In the clear early morning with the mist over the river and the mirror like reflection in the clear water, the red river gums is reflecting in the water giving an a weird feeling to this scene on the Murrar River in Australia.